Save time and money and improve your efficiency with this insulation tester device from Fluke. The grey and yellow tool is a hand-held device that is used to troubleshoot problems and carry out maintenance to identify and help solve issues before they become a bigger problem. 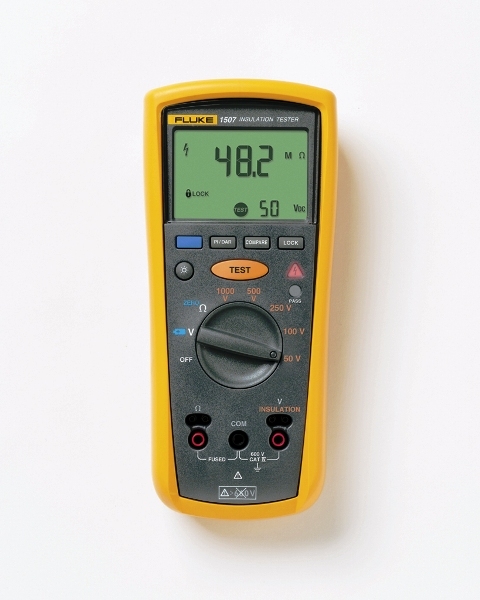 Fluke is a reliable brand within the industry, and this device is compact and easy to use. It is very durable and can be used reliably in tough working conditions. Its best feature is the multiple test voltages together with the remote probe which makes hard to reach areas even easier to test. If you have any questions about the tester call us on 01428 685124 or email enquiries@tklink.co.uk.